In game one of the International League playoffs the Louisville Bats used a three-run home run from designated hitter Mike Costanzo to earn an 8-4 win over Durham. Right fielder Sean Henry was 3-4 with a double and three runs scored, and center fielder Dave Sappelt was 3-4 with a double and RBI. 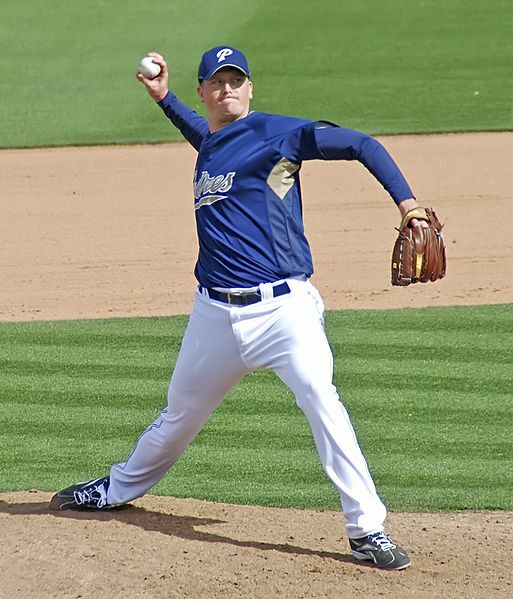 Right-handed pitcher Chad Reineke earned the win for the Bats. Former WKU infielder Wade Gaynor was 1-3 in West Michigan’s 4-2 loss to Lake County in the Midwest League playoffs. Former Murray St. right-handed pitcher Daniel Calhoun recorded a hold in Quad Cities’ 4-0 win over Kane County in the Midwest League playoffs. Former UofL outfielder and 2010 Rangers draftee Josh Richmond was 1-4 with a double and run scored for Spokane in its 6-1 win over Yakima. Morgantown native Keith Butler recorded the save in short-season Batavia’s 5-4 win over Tri-City in the New York-Penn League playoffs.